New Quiz Night at The Avalon | Three Cheers Pub Co. Calling all Clapham locals, our new weekly night quiz is launching at The Avalon on Monday 15th July. Teams of up to six are allowed and rounds include TV themes, mystery voices, music, pictures and general knowledge. So grab up to five friends, be at the pub by 7.30pm, get a round in and away you go. First prize is £50, entry just £2 each. Book your place at The Avalon quiz in advance on 020 8675 8613 or email. 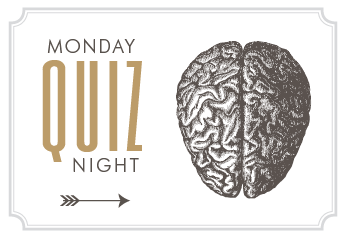 Don’t forget our ever-popular Monday night quiz is still on weekly at The Rosendale. To book your place at West Dulwich’s finest quiz call 020 8761 9008 or email. To get a head-start check our Facebook and Twitter pages every Friday for our bonus question clues. ← THE LIONS SERIES COMMENCES!